By being a small company, we can get things done quickly. By being clever, we concentrate our efforts, instead of using the “sledgehammer to crack a nut” approach so loved by managers in big companies. 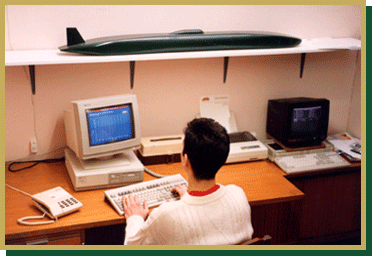 “A good engineer can do for £500 what any fool needs £1m for” – Roger Cramp. “Development is only necessary because of the stupidity of designers” – Keith Duckworth. We are used to inventing and innovating, and resigned to having our ideas ripped-off and exploited by others. “The early bird gets the worm, but the second mouse gets the cheese” – Groucho Marx. Roger Cramp pictured with the world’s first disc-valve reverse-port water-cooled two-stroke racing engine. Twenty years ahead of its time, it was designed and built in a lean-to shed next to his house. The bike was successful, finishing second in a national-level race. “I should have won, but I went to sleep on the last lap. It was my own stupid fault” – a typically honest comment from Roger Cramp. Years later, Ian Cramp would continue the tradition of innovation by beating Honda into racing an electronically-injected two-stroke engine by six months. That engine was also built in a garden shed. 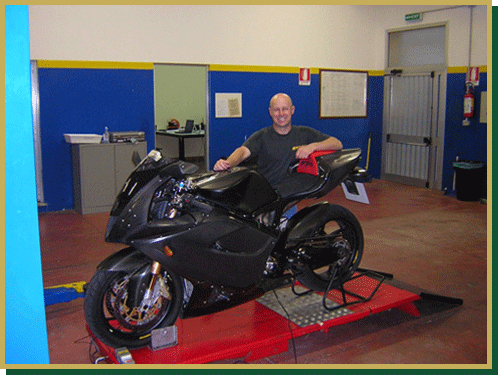 We fuel-injected a Honda FireBlade long before Honda did. 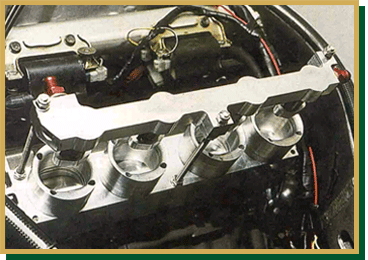 The EFI system used rotating-barrel throttle bodies, only previously seen on F1 cars. 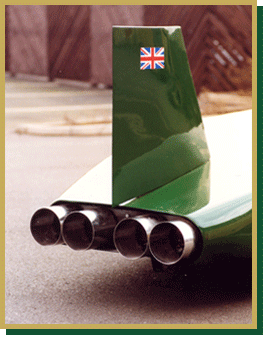 The twin air-intakes pre-dated factory efforts at ram-air systems (compare the appearance of these intakes with those on the Triumph TT600, which was launched five years later). A turbocharged version followed. 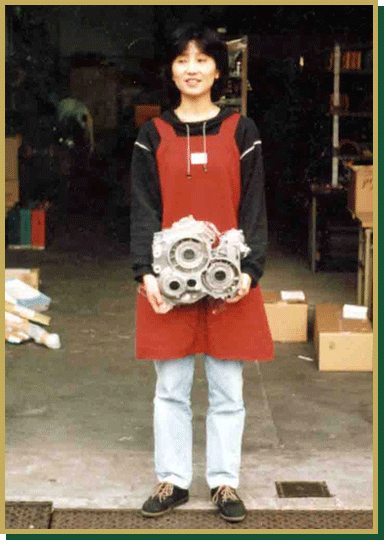 A project undertaken in Japan was the design of a twin-cylinder 2-stroke 500GP engine (the “LionHeart”), the crankcases for which are modelled here by the sponsor’s PA. Completion of the engine unfortunately coincided with the Japanese decision to abandon a national 500cc class and go to Superbike rules instead. 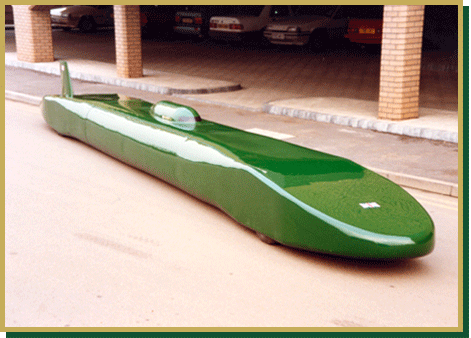 An attempt on the world land speed record for piston-engined cars fizzled out when the sponsor ran out of money. 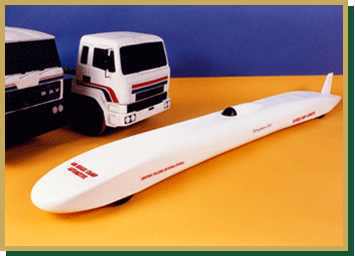 Early wind-tunnel tests fortunately coincided with some work we were doing on truck models. The full-sized car (made in 1992) housed four Chevrolet V8 engines, and it’s interesting to compare the design with that of the JCB “Dieselmax” made about 15 years later. Developing the fatally-flawed Petronas FP-1 superbike. 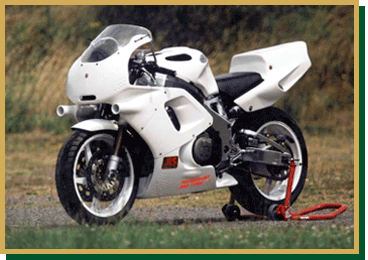 A great handling bike, but the reverse-format engine (exhausts exiting under the seat) damned it with the power of a CBR600......... “and riding it felt like sitting on the Chernobyl reactor.” – Ian Cramp. The only genuine “retro” that really performed as a modern bike should (follow the link for more details). 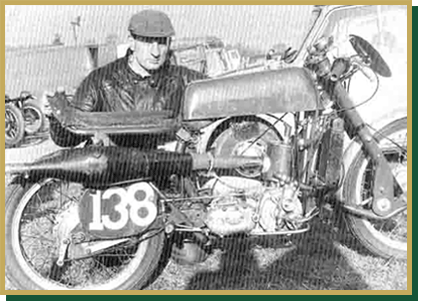 Initially supported by Triumph, who then refused to supply engines just as the bike was going into production. The ultimate compliment? 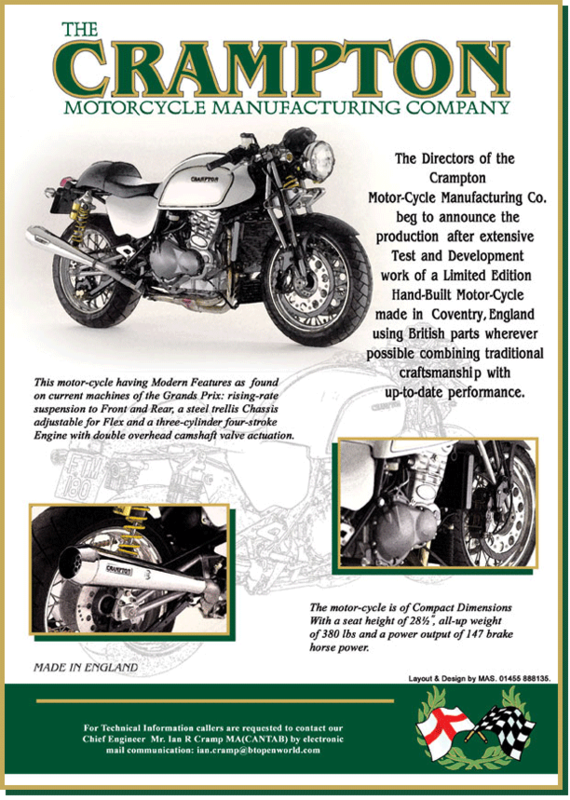 Click here for full spec of the Crampton.